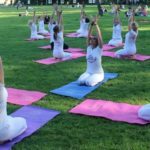 On the occasion of the International Day of Yoga, the Great European Yoga Cultural Performance “Yoga Days of Good Deeds” took place on June 21, 2016 on the Kampa Island (Na Kampě) in Prague. 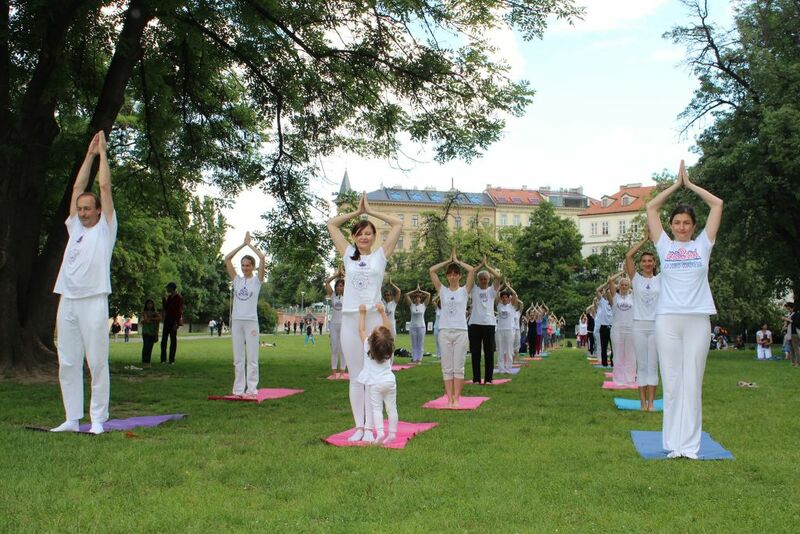 Performance was organized by the Yoga Federation of Europe in cooperation with the Prague 1 Municipal District and Yoga Federation of the Czech Republic. 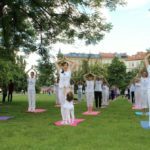 This year, performance was held under the auspice of the Ministry of education, youth and sport. 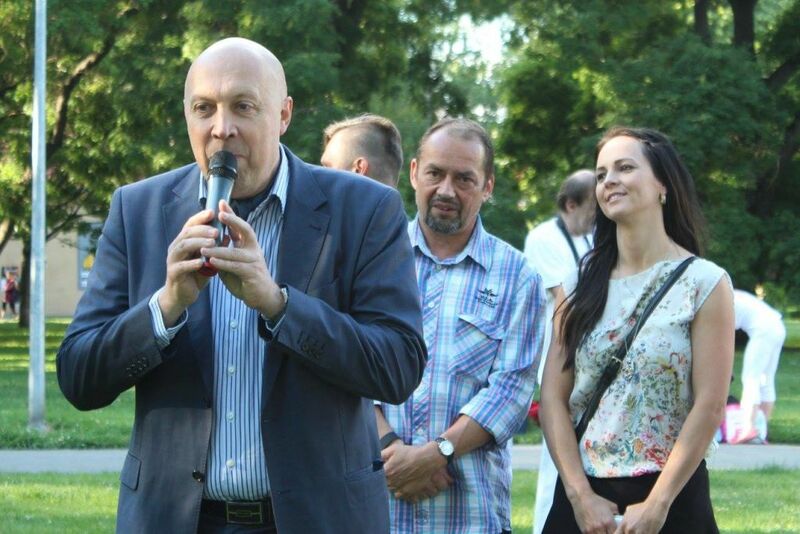 Freko a.s. also supported our action. 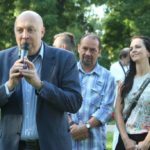 The event was moderated by Mgr. 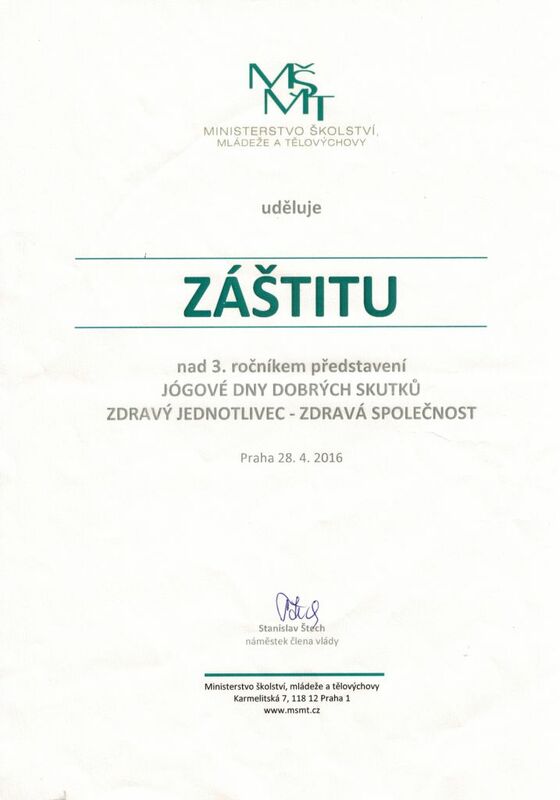 Helena Mitwallyová. 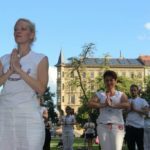 The performance is part of the wider action which includes Vienna, Prague, Belgrade and Novi Sad and it takes place at the central squares of the European capitals. 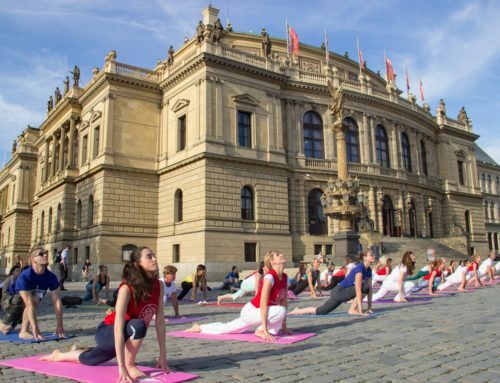 The participants of the yoga performance in Prague greeted major of Prague 1, with whose support and auspices the performance has been conducted. 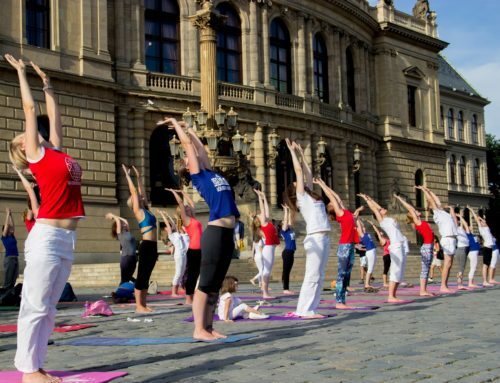 Performance on the occasion of the International Day of Yoga brought together representatives of the Czech Yoga Federation, foreign guests, representatives of the Yoga Federation of Europe as well as students who are attending Yoga Teacher Trainig Programme at the Yoga Federation Europe (program accredited by the competent ministry), representatives of municipality Praha 1, representatives of the Ministry of education, youth and sport, eminent citizens, media and representatives of the Embassy of India and Serbia. 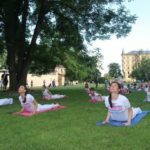 The performance was consisted of Surya Namaskar (Sun Salutation) series that yoga teachers and practitioners conducted along with the silent music and play of the members of Art Yoga Similiris group. 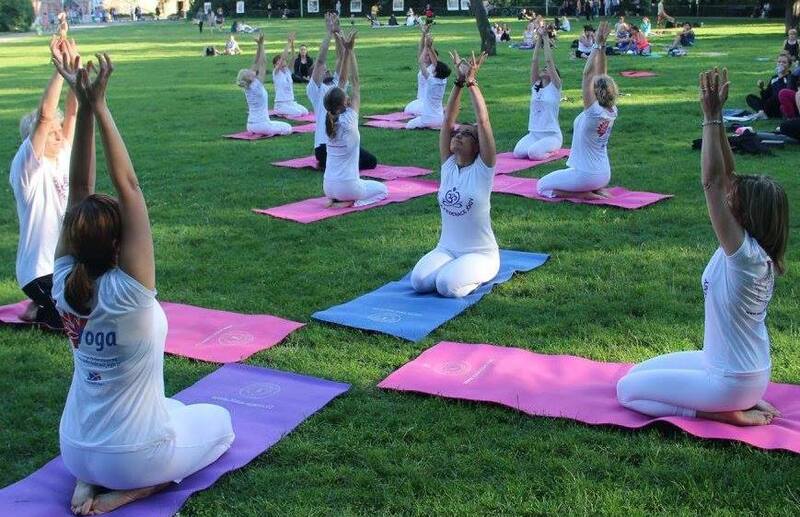 The performance was greeted by a great applause of all visitors. 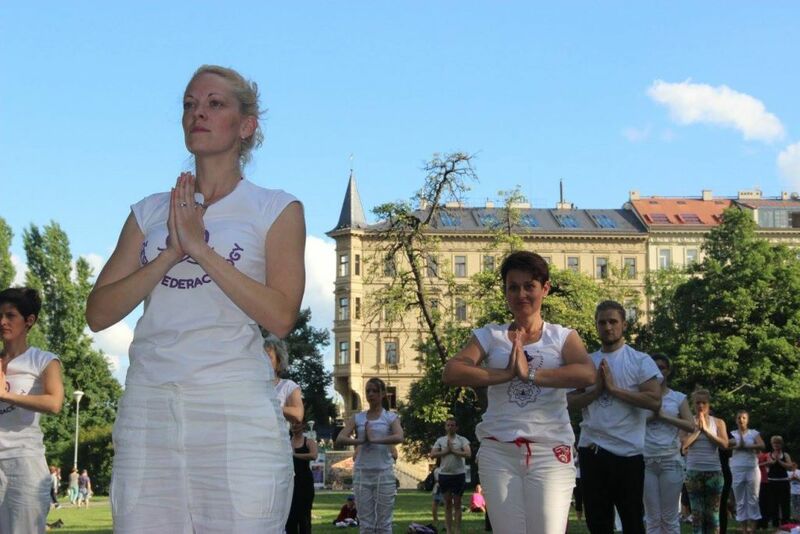 After the performance, at 8:00 p.m. Kirtan Group Samadhi held a concert in “Salla Terrena”on the Kampa Island.